DO NOT READ THIS PUBLICATION IF YOU MAY BE OFFENDED BY INFORMATION THAT CONFLICTS WITH YOUR ESTABLISHED THOUGHTS, EDUCATION, RELIGION, CULTURE; OR ARE NOT RECEPTIVE TO OLD TRUTHS THAT ARE EXPRESSED IN NEW WAYS. In setting the foundation for this chapter, let us first recall that the "unfolded" numeric prophecies of Daniel 12, which were sealed for over 2,500 years, authenticate the historical time of Christ's first coming, His abolishment of the sanctuary service, and the establishment of the Abomination of Desolation. Furthermore, it identifies the timing of the great controversy between good and evil--the final eradication of sin from God's universe. The Great Mathematician also gave Daniel another numeric prophecy encoded several centuries before Christ. This little-known and greatly misunderstood prophecy, among things, accurately identifies the time for the close of Israel’s probation. You were told that you would hear old truths expressed in new ways, and this "old truth" was understood by those who wrote the Dead Sea Scrolls before the birth of Christ. Also, before the Reformers used this code to identify the Catholic Church as Antichrist, Catholic bishops also attempted to convince a contingency of Jewish rabbis that Jesus was the Messiah. This prompted them to declare what is known as The Rabbinical Curse: May the bones of the hands and the bones of the fingers decay and decompose, of him who turns the pages of the book of Daniel, to find out the time of Daniel 9:24-27, and may his memory rot from off the face of the earth forever (Talmudic Law, p. 978, Section 2, Line 28). I have been teaching these truths for over three decades, and my fingers operate the keyboard as easily as when I learned to type; and if my name is recorded in The Book of Life, my memory will not rot, but endure through eternity. As you may suspect, these important principles are now suppressed by the Catholic leadership, who shift them to some hypothetical event in the future because the day-for-year principle of unlocking prophecies is used to identify them as the Abomination of Desolation, as we did in Chapter Two. Therefore, if you can accept these facts that are so important to your salvation, read on in a humble spirit of prayer because they very accurately predict the year of Christ's baptism and wilderness temptation, identifying the start of His earthly ministry as the "last Adam" (1 Corinthians 15:45). Furthermore, it also tells the exact year of His crucifixion--this tangible information builds faith in those needing spiritual strength; and yes, it dates the end of the Jewish dispensation. Many today erroneously speculate that the nation of Israel will accept Jesus as their Savior in the near future and convert the world to Christianity and commence 1,000 years of world peace. This, they say, is Israel's "second chance" to finally introduce the crucified Savior to mankind. In reality, this will be a fatal delusion for humanity because it prepares them to receive Satan, as he must impersonate God by ruling in Israel before Christ's long waited "rescue mission." Our destiny depends on significant choices we make--decisions that ultimately determine our fate forever. Personally, I feel completely inadequate to handle language in an efficient manner to impress readers with vital truths found in the Bible. Attempting to develop journalistic skills, I took English classes and enrolled for a few brief semesters as a student on a college newspaper staff. Still, I am far from a proficient journalist. So my prayer is that human weakness will be perfected in His divine strength and, in addition to reading this document, that you also seek deeper understanding from Him through prayer while you personally research these important issues in His Word. To begin the topic of Israel's probation, let us first mention Jesus' use of an Old Testament prophecy of seventy times seven. Perhaps you have observed someone anxious to teach a valid truth. They may ask a question while really wanting to give the correct answer. We have done this very thing in the chapter heading: "Will Israel Save the World?" Peter used a similar tactic in conversation with Jesus: "How often will my brother sin against me, and I forgive him? Until seven times?" In their day Jewish rabbis limited the act of forgiveness to three offenses. Peter wanted to be especially correct and was extra generous--he extended the forgiveness to seven times. Jesus used this as an opportunity to introduce to Peter another topic of much greater importance, as you will see, the close of probation for Israel. To Peter's statement Jesus replied, Not "until seven times, but until seventy times seven" (Matthew 18:21-22). Seven is the number of perfection, the number of completeness, the number scattered 463 times within 391 verses of the Bible from Genesis' seven-day week to the seven vials of Revelation, containing the seven last plagues. And Jesus multiplies Peter's forgiveness of seven by 70, totaling 490 times (Ibid.). How often we hear sermons magnifying God's forgiveness: "Have mercy upon me, O God, according to your loving kindness: according to the multitude of Your tender mercies blot out my transgressions" (Psalms 51:1). Yes, "there is forgiveness with You" (Psalm 130:4). By looking at God's great love displayed at Calvary, we may rightly emphasize God's forgiveness if we do not forget His promised judgments against transgressors. Jesus emphasized the importance of making decisions immediately, and did not say that forgiveness would have no boundaries--no finality. Jesus spoke repeatedly of the close of probation, even saying that it would be more tolerable for the nations previously destroyed by God's wrath than for those who rejected His truths (Matthew 10:15; 11:22; Luke 10:12, 14). And He admonished His disciples to stamp the dust from their feet of the towns that refused to hear His messages of mercy (Luke 6:11). Probation can close for nations and it can close for individuals who despise greater truths of God. It closed for Lucifer and his angels, for Noah's generation; and let us not forget the prophet Samuel's words to the passive priest who neglected to restrain his children: "And therefore I have sworn concerning the house of Eli, that the iniquity of Eli's house will not be purged with sacrifice nor offering forever" (1 Samuel 3:14). Displayed by instantaneous death, judgment closed very swiftly for Ananias and Sapphira, "So a great fear came upon all the church and upon all who heard these things" (Acts 5:1-11). The Northern kingdom of Israel lost their commission and was forever banished to Assyrian captivity: "Therefore the Lord was very angry with Israel, and removed them out of his sight: there was none left but the tribe of Judah.... For He rent Israel from the house of David" (I Kings 17: 18, 21). Isaiah also conveys this same concept concerning Jerusalem: "Surely for this iniquity there will be no atonement for you, even to your death" (Isaiah 22:14). Now, please understand this fact: I do not believe, nor want you to even suspect that there is forgiveness from God limited to seventy times seven. Were that true, we would all be lost. Thank God for His patience, how often each of us must humbly kneel at Jesus' feet asking for forgiveness after He allows circumstances to reveal to us another character defect. In reality, Jesus is borrowing seventy sevens from the Old Testament where the finality of God's use of Israel to fulfill His divine purpose is predicted--their last chance--the close of probation for that nation. Many have forgotten or do not correctly understand this Old Testament occurrence of seventy times seven. But before we explore this, let me mention a noteworthy observation: Ignorance of the fulfillment of a prediction promotes irrational applications. To prevent irrational application of a prophecy that has already fulfilled, let us turn to the ninth chapter of Daniel. To take this chapter in context, we must recall that Israel's probation was closed during Daniel's lifetime for a period of 70 years. This 70-year sentence started at the time of Jeremiah's prediction when Judah was overthrown and God's people were carried away as captives to Babylon (Jeremiah 25:11-12). Several decades later, in the first year of Darius (538 B.C. 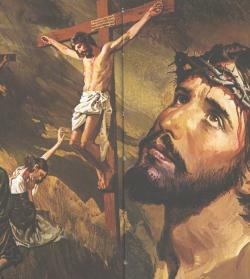 ), Daniel read the scriptures and understood that the seventy years of captivity were almost fulfilled. He offered a prayer that occupies 16 verses. In this prayer, Daniel acknowledges the sins of his nation, the validity of God's judgments, and the goodness of God. Daniel finishes his appeal with these words: "O Lord, hear! O Lord, forgive! O Lord, listen and act! Do not delay for Your own sake, my God, for Your city and Your people are called by Your name" (Daniel 9:19). Daniel is pleading for another chance and asks God to re-establish His people in Palestine, and to rebuild the city and temple that lay in ruins--another chance to fulfill Israel's original commission--to bring in everlasting righteousness, to be a blessing to the Gentiles, to make the house of God a place of prayer for all people. God hears Daniel's prayer and sends an answer. Gabriel, who stands in the presence of God, flies swiftly and arrives about the time of the evening sacrifice. He itemizes several events to fulfill within a specific time frame: "I have now come forth to give you skill to understand" (Ibid. 9:22). "SEVENTY WEEKS [literally seventy sevens, or 70 X 7] are determined for your people and for your holy city, to finish transgression, to make an end of sins, to make reconciliation for iniquity, to bring in everlasting righteousness, to seal up the vision and prophecy, and to anoint the Most Holy" (verse 24). You may recall that Ezekiel 4:6 and Numbers 14:34 establish the principle that a prophetic day equals literal years. So, Israel's probation would not be limited to the brief time of seventy times seven days, which is less than two years (70 X 7 = 490 days), but to a full 490 years. Also, it would not be proper for God to start the timing of the 490 years while Israel was still struggling in captivity. It must commence when they were fully re-established as a nation with rights of autonomy by self-government, where they can legally "restore and rebuild Jerusalem." Gabriel then tells when to start this "last chance:" "Know therefore and understand that from the going forth of the command to restore and build Jerusalem..." (verse 25). Ezra and Nehemiah list three main "commands." The first is 537 B.C., to rebuild the temple (Ezra 1:1-4). The second, 519 B.C., eighteen years later to strengthen the first decree to rebuild the temple (Ezra 6:1-12). And the third, 457 B.C., to restore self-government to the Jewish nation under Persian lordship (Ezra 7:11-26). Since the third decree of 457 B.C. established governmental autonomy with Israel's own "magistrates and judges", they would have the right to legislate as needed to "restore and build Jerusalem" (Ezra 7:25, 26). Therefore, 457 B.C. is the correct starting point of Israel's 490 year "last chance." We might ask the question: "Just how did Israel fare during this probationary period?" Not very good, as we will soon discover. The first 69 weeks (483 years) of the 70 week (490 years) prophecy was to reach to Jesus, the Messiah: "Until the Messiah the Prince, seven weeks and sixty-two weeks (7 + 62 = 69); the street and the wall [of Jerusalem] will be built again, even in troublesome times" (Daniel 9:25). If you read Nehemiah 4, it tells some of the problems encountered when rebuilding the walls, but what about the 69 weeks to the Messiah? Let us calculate the time to the Messiah, remembering that we must add one year for transition between B.C. and A.D. because there is no year zero in chronological time. We have mentioned that Jesus said there is forgiveness of seventy times seven (490) and Daniel also conveys this thought for Israel. From Daniel, we observed that the 483 years of this 490 year prediction of time reached to Christ's baptism. There was still SEVEN YEARS OF PROBATION LEFT FOR ISRAEL to complete the 490 years (490 - 483 = 7). Jesus sent out His twelve disciples with this commission: "Go not into the way of the GENTILES, and into any city of the SAMARITANS enter not: But go rather to the LOST SHEEP OF ISRAEL" (Matthew 10:5, 6). Probation would not finish for Israel until AFTER this seven year period. Now, let us discover the fulfillment of another prediction recorded in Daniel 9. Remember that seven and sixty-two weeks reached to the Messiah. In verse 26 we are told: "And after the sixty-two weeks [sometime after Christ's baptism in 27 A.D.] Messiah will be cut off [killed], but not for Himself [for us]; and the people [troops] of the prince [of the Roman emperor] will destroy the city [Jerusalem] and the sanctuary [the prince, Titus did this in the siege of 70 A.D.]. The end of it will be with [like] a flood, and till the end of the war, DESOLATIONS are determined" (Daniel 9: 26). We need only mention a few conflicts: Masada, the Roman Coliseum, marauding Ottomans, and the "crusades" that vainly attempted to recover Jerusalem for Jesus. Nor the bombings and assassinations that are today carried out against the nation whose leaders said to Pilate: 'We have no king but Caesar", and "His blood be on us, and on our children" (John 19:15; Matthew 27:25). And of whom our Savior and God pronounced this decree: "Behold, your house is left unto you DESOLATE" (Matthew 23:38). There is more, emphasizing the most tragic parts of this seven-year "last chance"--the 70th week of Daniel's prophecy. "And he [the Messiah] will confirm the covenant with many for one week [seven prophetic years]: and in the midst of the week he will cause the sacrifice and the oblation to cease, and for the over spreading of abominations he will make it DESOLATE, even until the consummation, and that determined will be poured upon the DESOLATE." Notice that three different verses emphasize the abolishment of the sacrificial system (Daniel 9:27; 11:31; 12:11). Jesus confirmed His Father's covenant (agreement) with Israel for that prophetic week--SEVEN FINAL YEARS. The first half of this seven-year period was fulfilled by Jesus Himself. The New Testament records Jesus' attendance at four Passovers. The first was six months after his baptism in the fall of 27 A.D., and He was crucified three years later at the fourth in 31 A.D. Thus, three and one-half years after His baptism, Jesus would "cause the sacrifice and the oblation to cease" becoming the "lamb of God, which takes away the sins of the world" (John 1:29). You will recall that in Chapter one, we discovered that two events occurred at the time of Christ (7740). (1) The daily sacrifice was taken away, and (2) the Abomination of Desolation was established. These predictions were literally and fully fulfilled. But in the "midst of the week", that last seven-year period, Jesus died; there remains three and one-half more years for Israel's final probationary period; then, they would become the DESOLATE. Matthew records Jesus' instructions to the disciples: "Go rather to the LOST SHEEP OF ISRAEL." After Christ's death the Jewish nation would still have three and one-half years to study the scriptures--to discover the predictions in the Old Testament of the Messiah's birth, suffering, and murder. Probation had not closed for the "lost sheep", and they were offered a new covenant--the indwelling Spirit of Christ their LORD (Jeremiah 31:31-33). If they refused all this evidence, they would be like the flourishing fig tree that in all appearance professed to be productive, but in actuality was barren. Jesus spoke these words to that pretentious tree: "Let no fruit grow on you after this FOR EVER. And presently the fig tree withered away" (Matthew 21:19). That wilted fig tree is an object lesson to all believers who pretend holiness yet, like Israel of old, are destitute of true godliness as manifested from God working out His noble qualities in their lives. The rest of the story is well known. Jesus preached to Israel for the final three and one-half years by His Holy Spirit poured upon the church. Judaism, the religion established by God and Moses, rejected the teachings of Jesus and His disciples. While the Pharisees were furiously stoning Steven to death for his testimony of Jesus, there was a young man holding their coats and consenting to this atrocity. He was named for a famous king of Israel, Saul, but on the road to Damascus he met the great I AM. Jesus said concerning Saul: "He is a chosen vessel for Me, to bear My name before the Gentiles, and kings, and the children of Israel" (Acts 9:15). Not only was Saul (Paul) chosen to spread the gospel to the nations, but a persecution arose after Steven's death, and the church was "scattered throughout the regions of Judea and Samaria..." (Acts 8:1). Thus, Israel's allotted probation of 490 years, including the last week of seven years, terminated in A.D. 34 as converts spread the Good News about Jesus to the rest of the world: ( - 457 + 483 + 7 + 1 = 34 A.D.). This work was confirmed by God's bestowal upon the Gentiles of His Holy Spirit. Jesus' statement to the Samaritan woman found fulfillment: "The hour comes when you will... not worship the Father at Jerusalem..., but the true worshippers shall worship the Father in spirit and in truth..." ( John 4:21, 23). Paul was fully aware of Israel's rejection and said to the "chief of the Jews": "Therefore let it be known that salvation of God has been sent to the Gentiles, and they will hear it!" (Acts 28:17, 28). An important thought for your consideration is, If judgment was totally closed for the nation of Israel three and one-half years after they delivered their Messiah to the Gentiles for crucifixion (Matthew 20:19; Mark 10:33,34), then God's commission to teach the world belongs to spiritual Israel (Matthew 28:19,20). It belongs to you and me, to individuals of every nationality who believe in Jesus. "And if you are Christ's, then you are Abraham's seed, and heirs according to the promise" (Galatians 3:29). Soon, His chosen from all nations will ascend to heaven and dwell in the Holy City, and 1,000 years in the future they will ultimately inherit the earth (Psalm 37:11; Matthew 5:5). The promise is: "Blessed are those [from every country] who do His commandments, that they may have the right to the tree of life, and may enter through the gates into the city. But outside are [the ashes of] dogs and sorcerers and sexually immoral and murderers and idolaters, and whoever loves and practices a lie" (Revelation 22: 14-15). Malachi 4:3 refers to the ashes of the destroyed wicked: "And you will tread down the wicked; for they will be ashes under the soles of your feet in the day that I will do this says the LORD of hosts." And those suffering this destruction will be individuals and nations for whom probation had closed, those who rejected essential truths. Were you able to understand these "timed" prophecies? Some people have a better comprehension of mathematics than others. And a few individuals might have to receive them by faith, knowing that God is not a man and He cannot lie (Titus 1:2). These prophecies are truth, and God intended them to be understood. To me, they are fun, and enhance my faith in God's dealings with humanity. It was mathematical calculations of these prophecies that first convinced me that there was an all-knowing God that controlled our destinies, and persuaded me that we are living at the end of time. Because Daniel's numeric prophecies were "sealed until the time of the end" (Daniel 12:9), I could pray without presumption for understanding. And now, if you are not completely fatigued, there is one more number that God would have us understand, Daniel's longest numeric prophecy. This prophecy stretches across history 2,300 years to affect our existence today. Because it is very significant for our time, we will briefly study it. And I can assure you, it is quite easy to understand. First, you must realize that all of the annual festivals that Israel was commanded to keep in the Old Testament were symbolic of occurrences that must literally fulfill in history. Because God's 10 commandment law is as eternal as God Himself, its weekly Sabbath is not symbolic, but the other holy days are. For example, Israel annually killed a Passover lamb in commemoration of the lamb whose blood saved them from the plague of death in Egypt. But this drama, called the Passover, literally fulfilled when Jesus, the Lamb of God, was slain on the very Passover that fell on what we call "Good Friday." Jesus very literally shed His blood for humanity (Isaiah 53: 8). Another annual festival that must likewise fulfill was the Day of Atonement. The actions in this drama reveal the necessary judgment to legally cleanse the sins from our innocent Sin Bearer that we gave Him through confession and repentance. These will finally be transferred to Satan in the judgment. The father of lies ultimately receives responsibility for all sin. Satan's wandering on this desolate planet for 1,000 years is also symbolized in this drama when Israel annually "let him go for a scapegoat into the wilderness" (Leviticus 16:10). Jesus spoke of this judgment, in fact you might have even quoted His words before: "But I say unto you, That every idle word that men shall speak, they shall give account thereof in the day of judgment" (Matthew 12:36). It is also predicted in Revelation, "for the hour of His judgment is come..." (Revelation 14: 7). This judgment takes place before Jesus returns, as all heaven must determine that you are safe to entrust with eternal life in a sinless universe. Please understand that there is no excuse for known sin. If one continues in sin while professing Christianity, "there no longer remains a sacrifice for sins" because they "crucify again for themselves the Son of God..." and have "insulted the Spirit of grace" (Hebrews 9:6; 10:26, 29). Jesus has made every provision for our salvation, and God accepts no excuses. While maintaining a humble spirit, all of our unbecoming behavior must be confessed to Him who is "faithful and just to forgive us our sins and cleanse us of all unrighteousness" (1 John 1:9). Before we discuss the date for the commencement of this judgment, we need to look from another prospective. First, we can get a clue to its timing from Daniel's chapter seven. In the latter part of the reign of the Abomination of Desolation, which we discussed in chapter one and two, verse nine says: "I watched until thrones were put in place, and the Ancient of Days [God the Father] was seated...." Verse 10 continues, "A thousand times ten thousand stood before Him. The COURT was seated, and THE BOOKS OPENED. Read this chapter in its entirety to realize that this judgment scene is taking place in heaven near the close of the Roman System's rule because Daniel's view switches from heaven to earth: "I watched THEN [while also viewing the judgment scene in heaven] because of the sound of the pompous words which the horn [Antichrist] was speaking; I watched till the beast [Roman System] was slain and its body destroyed and given to the burning flame" (verse 11). We have discussed previously how the Roman System must be attacked under the fifth plague. But there is a total of seven plagues, two more remain; therefore, when Rome is attacked, the controversy must continue a little longer as Satin himself makes his debut and pretends to recover us from great calamity. "I [Daniel] beheld until the beast was slain, and his body destroyed, and given to the burning flame" (Daniel 7:11). Be alert for this future event--when Rome is assaulted, know for certain that Satan's debut and Armageddon will follow. Daniel gives us a little more information as he continues in verse 12: "As for the rest of the beasts [governments previously controlled by Rome], they had their dominion taken away [no rulers or dictators, but ultimately Satan's attempted rule], yet their lives were prolonged for a season and a time" (Daniel 7:12). You will recall that when the Roman System has outlived its usefulness to Satan, then it is cast aside. After that, Lucifer takes earth's throne briefly. At this time we do not fully understand the exact duration of the season and time of Daniel seven. This period allows for the unclean spirits to deceive the nations and Satan to rule. It is the time between Rome's fall and the destruction of this world in Armageddon. This is Daniel's last numeric prophecy for our time, and it computes literally to a year (time) and, the length of a season, which has three months. This is 450 days under the Hebrew calendar, or 15 months. Using the day-for-a-year scenario, it equals 450 years (15 X 30 = 450). It is highly unlikely that this figure applies, so let us use our "end of the days" key of "one-day-equals-six-days from Genesis 2:4. By multiplying the 450 days by SIX, it totals 2,700 days (450 X 6 = 2,700), or seven and one-half years, (2700 / 360 = 7.5). This is a more realistic figure, but we just do not know. This is a wait-and-see event because some predictions are only understood after they have fulfilled, as Christ said: "Now I tell you before it comes, that, when it is comes to pass, you may believe that I am [he]" (John 13:19). Therefore, you must watch for and be alert to this fact: After Rome's exaltation (healed wound--Revelation 13:3), and demise (Daniel 7:11; Revelation 16: 10,11), we still have the "unclean spirits" of the sixth plague described in Revelation 16, verses 12 through 16. Satan works wisely in this deception. Like frogs appearing after a season of hibernation, these are undoubtedly "miracle working" demons in human form who announce the alleged arrival of Christ—one might even profess to be Mary, the mother of Jesus. These spirits of devils will entreat earth's leadership to accept Satan's impending rule. This will fasten them in his final deception and urge them on to unite with him in the final struggle against God's saints. These spirits will, in fact, lead the people to their final destruction in the last plague of Armageddon (Revelation 16:16-21). What a scoundrel! Satan knew that he was a doomed angel when he was evicted from heaven. Still, his evil work continues as he does everything in his power to keep you from inheriting paradise, the utopia from where he was banished. This will require extreme patience, but the saints know that when Satan is killed and our planet destroyed in Armageddon, then Jesus will be arriving on His rescue mission and take them to the "mansions" in heaven (John 14:1-4). This final event, the coming of Christ, is discussed in the next chapter. We have, of necessity, deviated from the 2,300 day prophecy; so let us now return to the discussion of Daniel's longest timed prophecy that reaches to the beginning of judgment (Daniel 8:14). We already discussed Israel's starting date of 457 B.C. which reached 490 years to 34 A.D. Now, let us calculate the remaining years after Israel's probation closed. If we subtract "cut off" Israel's 490 years of probation that terminated in 34 A.D., from 2,300 years, that leaves 1,810 years (2,300 - 490 = 1,810) This period of 1,810 years continues after 34 A.D. reaching to 1844 (34 + 1,810 = 1844 A.D.). An equally effective way to calculate this is to use our starting date, the year of Israel's autonomy under Persian lordship, 457 B.C. Using negative numbers to express the years before Christ, 2,300 years is added, leaving 1843 A.D., and adding one transitional year totals 1844 ( - 457 + 2,300 + 1 = 1844 A.D.). The prediction in Daniel 8:14 says: "For two thousand and three hundred days, then the sanctuary shall be cleansed." The word "cleansed" is the Hebrew word tsadaq. This word literally means: to be made righteous, be just, justified, or vindicated. It is only by revealing everything that happened in the rebellion in heaven and on earth that God's name can be cleared of Satan's accusations. Therefore, the judgment that started in heaven, in addition to determining everyone's eternal destiny, is really a process of vindicating God before the entire universe; His sanctuary is cleansed of sins that have been transferred there by our prayers. And by looking at the evidence of the first part of this history (490 years) that fulfilled at the time of Christ by His baptism and crucifixion, then trusting in God's faithfulness, we can know for certain that judgment started in heaven in the year 1844. This event will continue until the books are closed, humanity's probation closes, and the decree from heaven is made: "He that is unjust, let him be unjust still: and he that is filthy, let him be filthy still... (Revelation 22: 11). These figures do not set a date for Christ's coming. They only tell us that we are living in the time of history when heaven determines who will participate in the resurrection of righteousness or be left behind to perish. This judging is of those who call on the name of Jesus: "For the time [is come] that judgment must begin at the house of God: and if [it] first [begins] at us, what shall the end [be] of them that obey not the gospel of God?" (1 Peter 4:17) And, of course, as surely as Lucifer deceived God's noble angels, there will be false teachers who discredit these facts with simple words like "fatalist, doomsayer, and alarmist." When they can not refute the Biblical truths presented, they often belittle or defame the character of those bearing God's last-day message of warning. And know for a certain that "there will come in the last days scoffers, walking after their own lusts, and saying, 'Where is the promise of his coming? for since the fathers fell asleep, all things continue as they were from the beginning of the creation'" (Peter 3:3,4). But Bible chronology has accurately fulfilled, and we are certainly living near the close of humanities probation. Perhaps the following chart will help you understand these important dates. The 490 years end in A.D. 34, and the 2,300 days reach to A.D. 1844. As the chart above shows, Israel's last chance, the 490 years of probation, terminated with the martyrdom of Stephen. Saul was then chosen as the Apostle to the Gentiles. Add the remaining 1810 years to this date of 34 A.D. and you have 1844, the time for judgment to begin. A young Christian, who we will call Jerry, was excited about his newly found faith and with great zeal studied the scriptures. "I've been reading the Bible, Charles," Jerry enthusiastically said, "and I think California will have a prominent part in the closing events of history." I knew that Jerry was making a mistake that has been unfortunately repeated by others. Not knowing history, or trusting in publications by charismatic authors, people make erroneous applications to prophecy. I did not ask Jerry where he got his theory from. And Jerry's face was somewhat embarrassed as I explained that just because California or Russia has a bear imprinted on their flags, it does not mean that the bear in Daniel (chapter 7:5) applies to them. Then I explained to Jerry that to enforce truths and prevent erroneous applications, God repeatedly used different symbols throughout the Bible to describe the same nations, and the bear was actually the ancient nation of Persia that overthrew the Babylonian kingdom. California and Russia have enough internal problems without assuming Israel's "real estate" conflict. Although Jerry was wrong about California, "Christians" must share their responsibility in causing Armageddon. There are studies of chapters nine of Revelation by learned men, like Sir Isaac Newton and the German reformer, Marin Luther, showing they understood the Islamic encroachment upon Christian nations were described in Bible prophecy. The great political battle of August 11, 1840 against the Islamic supremacy of the Ottoman Empire in Turkey by an alliance of four Christian nations was calculated and published before the conflict by the Christian researcher, Josiah Litch. Using the day/year “key”, he added the timed prophecies in Revelation 9: 5 and 15, starting with the Islamic invasion in Nicomedia on July 22, 1299. Exactly as he predicted, that political battle for the survival of Constanople (August 11, 1840) highlighted the fall of the Ottoman Empire, thus fulfilling Revelation 9:1-19 and Daniel 11:45. No longer a threat, those nations they once ruled, including Jerusalem with the mosque Islamics built (Daniel 11:45), will be destroyed in the great battle of Armageddon (Revelation 16:16; the Josiah Litch article is posted at:islam.htm). The hordes of Saracens and Turks were let loose as a scourge and punishment upon apostate [unfaithful] Christendom. Men suffered the punishment but learned no lesson from it. Ibid, p. 517, 1944 edition. Although the Reformation advanced some truths like justification by faith, today "believers" have stagnated in this era of doctrinal complacency while blindly claiming the blessings God only promises the obedient. Ignorant of the holiness and perfection of heaven, they have adopted customs of the world in an attempt to bring converts to the church and appease the unsanctified. Like the past coalition between bishops and kings, or Pharisees and Romans, they have also formed an alliance with legislators to enforce church tradition while living in transgression; the majority of Christendom still does not exalt all of God's law, and violating one commandment incurs the guilt of breaking all ten (James 2: 10). Uniting on the few doctrines they hold in common, Protestant churches no longer "protest" Rome's fallacies, and may apologetically call themselves "evangelical." Church leaders, who have never ascended to the third heaven, make void the testimony of the prophets who have. They presumptuously abandon God's patriarchal system by allowing their helper and servant, to occupy church positions reserved for men (Genesis 2:18,20; 3:16). Although the Apostle Paul reminds us of God's original injunction, that women must remain subordinate because they "sinned first", females often usurp the authority of bishops, sit at the head of church councils, baptize, and serve the implements of communion (1 Timothy 2:9-14; 1 Corinthians 14:34,35). Under the false banner of love, the "Saints" do not think God condemns their fornication and sexual perversion; and some "shepherds" often beg money from the impoverished "flock" that they may live extravagantly. Abuse of tobacco and alcohol is often endorsed by the saints. Men encourage women by smiling in admiration at their exposed cleavage, thighs, and gem studded abdomens, that declare these ladies immodest. Jewelry, tattoos, body piercing, paint, and other implements of exhibitism, are excused. Emotionalism is considered evidence of sanctification as "baptized" gutter-music excites congregations in gyrations of ecstasy. Media addicts, with distorted morals, find church boring and expect entertainment in the holy sanctuary. Supernatural tenants of spiritualism are attributed to God, and the Sabbath, explicitly blessed by Elohim, is defamed. These "instruments of unrighteousness" twist the epistles, "as they do also the other scriptures, unto their own destruction" (Romans 6:13; 2 Peter 3:16). And, while claiming the Holy Spirit's presence and "the love of Jesus", the deluded again "crucify their Savior" by slandering the humble minority who perceive the sacredness of heaven and voice alarm against church corruption. Regardless of their noble intention, enthusiasm, or sincerity, God does not accept their offerings of "strange fire": "To obey is better than sacrifice, and to hearken than the fat of rams; for rebellion is like the sin of witchcraft and stubbornness is as iniquity and idolatry"; yes, "Babylon has fallen... and is become the habitation of devils..." (Leviticus 10:1,2;1 Samuel 15:22,23; Revelation 14:8; 18:2). Such blasphemies surpass the corruptions of the medieval church, and God will by "no means, clear the guilty"; were heaven inhabited with such professors of godliness, it would not be heavenly but a suburb of hell (Exodus 34:7; Hebrews 10:26-31). Similar to Israel's scribes and priests of old, Christianity has "fallen" and the world does not listen to the truth. Couple these facts with latter-day predictions to see that the world can not be saved, and peace will never be within the grasp of world leaders because sin is excused, even enforced, by the very organizations that should illuminate the world with God's righteousness. Other than a brief pause in military conflict under false promises of peace and tranquility during Satan's attempted rule, the Bible indicates that friction between Eastern Mediterranean nations will climax in the world-destroying battle of Armageddon, and the unconverted, calling themselves Christians, must also suffer the consequences of God's final judgments upon the world. Since September 11, 2001, the world has focused attention on a global dilemma, apparently caused by independent groups working for a common goal against Israel and Christian countries. Although their devastating attacks contaminate food supplies and depopulate civilizations with biological, chemical, nuclear, and other fearsome weapons, the forceful conversion of the world to their extreme religious views will not be achieved. Therefore, an alliance of governments will cause Armageddon--Ezekiel 38 plainly identifies collaborating nations surrounding the eastern half of the Mediterranean Sea, not terrorists acting independently, as the assembly in the final conflict centering in Israel. Many times, as recorded in the Old Testament, God has used nearby nations to punish the unfaithfulness of Israel. For example, the prophet Elijah anointed Hazael to be king over Syria: "And it shall come to pass, that him who escapes the sword of Hazael shall Jehu slay: and him that escapes from the sword of Jehu shall Elisha slay" (1 Kings 19:15-17). Some Bibles contain maps showing the original names of ancient territories occupied by Noah's descendants, and several of these are mentioned in Ezekiel 38. One may compare those tribal names with modern maps to identify their location today. They cluster about Turkey and include Iran and Palestine, circling around the Mediterranean Sea and ending at Libya in North Africa. Although once predominately Christian nations, because of church compromises they have, one might say, gone into Babylonian captivity. Today these Islamic countries oppose Israel's solvency such that it is only by the restraining hand of God that we have not already experienced the suicidal self-destruction of Armageddon, when humanity destroys the earth (Revelation 7:3; 11:18). These predictions have a very literal applications, and "the powers [leaders] of earth will marshal their forces for the last great battle"--the battle of Armageddon" (Revelation 16:16). Now, let me repeat an earlier statement: Ignorance of a fulfilled prediction promotes irrational applications. Because the previous prediction of Israel's 490 years of probation very accurately fulfilled three and one-half years after the crucifixion of Jesus, as well as the Gospel commission being given to the Gentiles, there is no validity in the popular application of that prediction to the future resurrection (rapture), tribulation, antichrist, or millennium of peace. Furthermore, there is no substance to the theory that Israel will accept the Gospel commission at this time and convert the world to obey the New Testament, including all ten of God's commandments. Jesus DID NOT say that Israel would have another chance. Instead, He predicted: "And they [Israel] will fall by the edge of the sword, and will be led away captive into all nations: and Jerusalem will be trodden down of the Gentiles, until the times of the Gentiles be fulfilled. And there will be signs in the sun, and in the moon, and in the stars; and upon the earth distress of nations, with perplexity; the sea and the waves roaring; Men's hearts failing them for fear, and for looking after those things which are coming on the earth: for the powers of heaven will be shaken. And then they will see the Son of man coming in clouds with power and great glory. And when these things begin to come to pass, then look up, and lift up your heads; for your redemption [resurrection] draws near" (Luke 21:24-28). While this planet is convulsing, at that instant, Jesus is awakening the dead saints for their journey to heaven: "In a moment, in the twinkling of an eye, at the last trump: for the trumpet will sound, and the dead will be raised incorruptible, and we will be changed" (1 Corinthians 15:52). This does not sound like Israel has preached the gospel and saved the world for Christ's literal 1,000-year reign; and to teach otherwise will prove fatal for many, with eternal consequences. The resurrection to heaven will have been preceded by Lucifer's infamous counterfeit of Christ's expected rule. If any religious organization, "an angel from heaven", or anyone claiming divine knowledge, declares the arrival of the Messiah, they are wrong--it is actually Satan (Galatians 1;8). Immediately after the fall of the Roman System, and before Satan's arrival and his destruction in the battle of Armageddon, "three unclean spirits" will suddenly appear--just "like frogs" awakened from hibernation (Revelation 16:13). With lying wonders they will deceive humanity by preparing the way for Satan's arrival--this is his greatest hoax. Do not believe them! We need to be concerned! Lucifer's coming is an overwhelming delusion that will "deceive the very elect, were it so possible" (Matthew 24:24). A description of Lucifer is found in Ezekiel 28: "Every precious stone is your covering" [nine different beautiful gem stones are described in verse 13]. Lucifer's "coat of many colors" exceeds the brilliance of the most dazzling Hollywood superstar or Disneyland's electric light parade. "The workmanship of your timbrels and pipes was prepared for you on the day you were created" (Ibid.). Notice the plural description; Lucifer has multiple voice boxes and wind pipes. This allows him to speak and sing in a multi-toned melodious manner. And counterfeiting Christ, he will match the description found in Revelation: "His head and His hair were white like wool, as white as snow, and His eyes like a flame of fire; His feet were like fine brass, as if refined in a furnace, and his voice as the sound of many waters" (Ibid. 1:13, 14). Lucifer will probably display counterfeit pierce marks--do not be fooled! If earth was visited by a majestic creature with these properties, and he proclaimed himself the long awaited messiah and assumed the throne of David in Israel, would not the majority of Israel proclaim him their savior? And Christians, atheists; in fact, the entire world, would fall at Lucifer's feet and proclaim: "Lo, this is our God; we have waited for him, and he will save us: this is the LORD; we have waited for him, we will be glad and rejoice in his salvation?" (Isaiah 25:9). This deception will occur even though he is advocating a change in God's eternal ten-commandment law. With words sweeter than honey, Satan is attempting to persuade all humanity to sin and that is how you will know he is the long-expected impostor. What an overwhelming deception. Jesus warned us of this with these words recorded in Matthew 24: 24: "For there will arise false Christs, and false prophets, and will show great signs and wonders; insomuch that, if it were possible, they will deceive the very elect." And how much greater the deception when "He himself [Satan] sits in the temple of God, showing himself to be God" (2 Thessalonians. 2:4). No matter how beautiful and soft spoken Lucifer is, his true nature will eventually show through. How long he deceives the nations is not known for certain. We obviously can not use the numeric prophecies of Daniel 9:24 to apply to Satan because they have already fulfilled in Christ. But one thing is indisputable: Satan's hatred for God's law and of those who keep His commandments--this was his overruling passion with the twelve disciples, Jesus, and the early church that faithfully respected and kept God's law. Just offering a pinch of incense to Caesar could have saved many from public execution in the Coliseum but God’s faithful saints chose martyrdom over transgression. Now Lucifer focuses his attention on the remnant that remains loyal to God's law: "Woe to the inhabiters of the earth and of the sea! for the devil is come down unto you, having great wrath, because he knows that he has but a short time"; "and the dragon [Satan] was wroth with the woman [the church], and he went to make war with the rest of her offspring, who keep the commandments of God and have the testimony of Jesus Christ" (Rev. 12:12, 17). Then Lucifer will heal those he has previously afflicted with disease. He does not have the power to create live cells, so he deludes with illusions and by withdrawing his hellish power; meanwhile, he promises his unwary subjects something even he does not possess--eternal life--"You shall not surely die", he says to transgressors (Genesis 3:4). Because many have believed his lies about a premature resurrection or rapture of the dead to heaven, his fallen angels will openly do what they have done in séances--impersonate friends, relatives and statesmen, resurrected from the grave or returned from heaven. Only a few saints will withstand his extreme deceptions (Revelation 12:9) . Satan has invested much effort in promoting the idea that God's law is changeable. For nearly 2,000 years he has successfully used Christians to exalt Sunday, his counterfeit Sabbath. Satan will announce himself as the risen Savior, and ask mankind to worship him every Sunday, a weekly reminder of his alleged sacrifice for humanity. How easy it will be for those who have lightly regarded the binding claims of God's law to accept Lucifer's great lie and honor his substitution. Satan's vain promise to Jesus is repeated: "If you therefore will worship me, all shall be yours" (Luke 4:7). He who desired the highest position in heaven will establish himself as supreme monarch of the world government--economic stability and world peace is promised and widely welcomed (Isaiah 14: 13). "Jesus is beginning His millennial reign," the multitudes will proclaim, as Satan pronounces blessings upon transgressors who have received the mark of the beast. These are the very ones that scripture declares will soon perish with him in the seventh plague of Armageddon (Revelation 14:9-11). Meanwhile, laws protecting religious freedom will be annulled and the compulsory worship of Lucifer mandated. Does this sound like Israel will preach the Gospel and save the world, or is it the greatest deception ever? There is sufficient evidence in the Bible to keep every sincere Christian from being deceived. To be saved, we must place a complete trust in God's Word and reply: "Get behind me, Satan: for it is written..." (Luke 4: 4, 8, 10). Lucifer can not help himself and will eventually act like the devil. With indescribable horror, the inhabitants of the world realize they were misled into believing Israel's endorsement of Satan, but humanities probation has closed and it is too late to repent. Knowing they have lost eternal life, truly, "the nations were angry..." and the wicked are destroyed in the final great battle of Armageddon while attempting to eliminate this blight from the world (Revelation 11:18). This is Satan's first death, and is mentioned in 2 Thessalonians 2: 8: "And then will that Wicked be revealed, who the Lord will consume with the spirit of his mouth, and will destroy with the brightness of his coming." From similar texts, one should understand that Christ's coming is a rescue mission and that he does not actively destroy the wicked until the second resurrection of the wicked 1,000 years later. To understand this, let us consider the words "consume with the spirit of His mouth, and will destroy with the brightness of His coming" (2 Thessalonians 2:8). What actually proceeds from His mouth? In Revelation we are told that a sharp sword is proceeding from His mouth and smites the nations. This two-edged sword is nothing other than the Word of God, the Old and New Testaments, the standard that cannot be broken (Ephesians 6:17; Hebrews 4:12). And His righteous commandments are also likened to a light: "For the commandment [is] a lamp; and the law [is] light" (Proverbs 6:23 ) "His brightness was like the light; He had rays flashing from His hand [from pierce marks--John 20:27] And there His power was Hidden." "You went forth for the salvation of your people, For salvation with your anointed" (Habakkuk 3:4, 13). By rejecting God's standard of righteousness, His law, and not availing themselves to His salvation, the wicked are self-condemned. Through their own neglect, they have, one might say, destroyed themselves (Hosea 3:9), and are abandoned to suffer destruction in the final holocaust. Christ says: "He that rejects me, and receives not my words, has one that judges him: the Word that I have spoken, the same [the Word] will judge him in the last day" (John 12:48). These people are justly condemned who received the Mark of the Beast and did not receive a love of the truth that they might be saved (2 Thessalonians. 2:12). Therefore, "the same will drink of the wine of the wrath of God, which is poured out without mixture into the cup of his indignation; and he will be tormented with fire and brimstone in the presence of the holy angels, and in the presence of the Lamb" (Revelation 14:10). When the nations are angry (the battle of Armageddon) and Jesus and all the host of heaven come to harvest this planet, only those who have received a "love of the truth" can be rescued. The wicked are abandoned to suffer the consequences of rejecting God's righteous commandments which they could have fulfilled through the indwelling love of God. The nation of Israel will probably become knowledgeable of Jesus' great sacrifice, but they will ultimately introduce Satan as the savior of our world. Through tangible evidence of Christ's existence by scriptural discoveries, like the SIX-day code we found in Genesis and God's fourth commandment, or archaeological evidence, they may come to an intellectual belief in Jesus as the Messiah and His atoning sacrifice, but like the Roman System, they are presently disqualified from God's plan to bless our world. As the history of earth closes, Israel will not be used by God to fulfill the true Gospel commission and if anything, they will introduce Satan as the world’s savior and falsely proclaim the anticipated millennium of peace on earth. In order to be found among the faithful, you must make right choices to trust and serve Jesus unflinchingly, regardless of intimidation by peers or society. God imparted necessary strength to the ancient martyrs, and although you may be a doubting Thomas or a cursing Peter today, that same power will be given as needed. Others have trodden the narrow path of rejection and affliction that our Savior walked--we can too! God is ready to give His faithful followers unflinching vitality and 20/20 perception, just for the asking, so you will be prepared and not falter or be caught unaware at His coming. Therefore, my friends let us be careful to not irrationally apply fulfilled scriptures to unfulfilled conjecture. The great deceiver has power to twist the Bible to suit His purpose. Let us reply with the same words of our Example when tempted by Satan: "It is written, Man will not live by bread alone, but by every word that proceeds out of the mouth of God'" (Matthew 4:4). Isaiah speaks of the redeemed with the following words: "Who among us will dwell with the devouring fire? Who among us will dwell with everlasting burnings? He that walks righteously, and speaks uprightly; he that despises the gain of oppressions, that shakes his hands from holding of bribes, that stops his ears from hearing of blood [fictional dramas, debasing video games...? ], and shuts his eyes from seeing evil [obscenity, worldly television...? ], He will dwell on high: his place of defense will be the munitions of rocks: bread will be given him; his waters will be sure…. “Your eyes will SEE THE KING IN HIS BEAUTY: THEY WILL BEHOLD THE LAND [heaven] THAT IS VERY FAR [light years] AWAY" (Isaiah 33: 14-17). Be very patient! Palestine is not to be restored for another 1,000 years. When Jesus returns in the near future, it is to take us to those mansions on high (John 14:1-4). Jesus is very close to each of us, and is well able to deliver as He has promised. Place you weakness in His strength, and trust Him unflinchingly. Blessed is he that WAITS and attains to the "8010" [80th century from creation--1,000 years in the future]" (Daniel 12:12). It does not appear that the nation of Israel will save the world at this time of history. "And I will sow [bind] her unto me in the earth; and I will have mercy upon her that had not obtained mercy; and I will say to them which were not my people [not Israelites], You are my people; and they will say, You are my God" (Hosea 2:23).